Northern California Playworks, Inc. in San Jose is a public restroom provider. 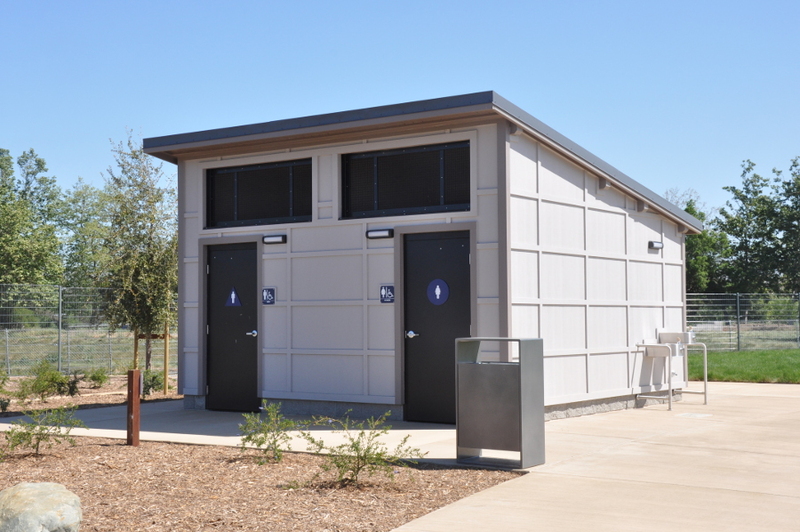 We have placed public restrooms at many schools and parks throughout the Bay Area. Northern California Playworks is a public restroom provider and major provider of durable and safe playground structures and equipment. We offer everything you need to complete the layout of your park or playground. Our inventory includes many architectural designs of bathrooms that would make the perfect addition to your park or school! Playworks public restrooms come in many shapes, sizes, and materials to meld perfectly with your chosen park layout and design. As with our playground equipment, we only use the highest quality company for our public restrooms. We guarantee that they will appeal aesthetically to your park visitors. At Northern California Playworks, our goal is to construct public restrooms that will last for years to come! At Playworks, we take pride in providing neighborhoods the ability to enjoy life’s needed brief breaks – while having fun at a visitors favorite park or play during school. Our public restrooms not only enhance your outdoor play space, but they create a sense of belonging adding reassurance to a busy atmosphere. 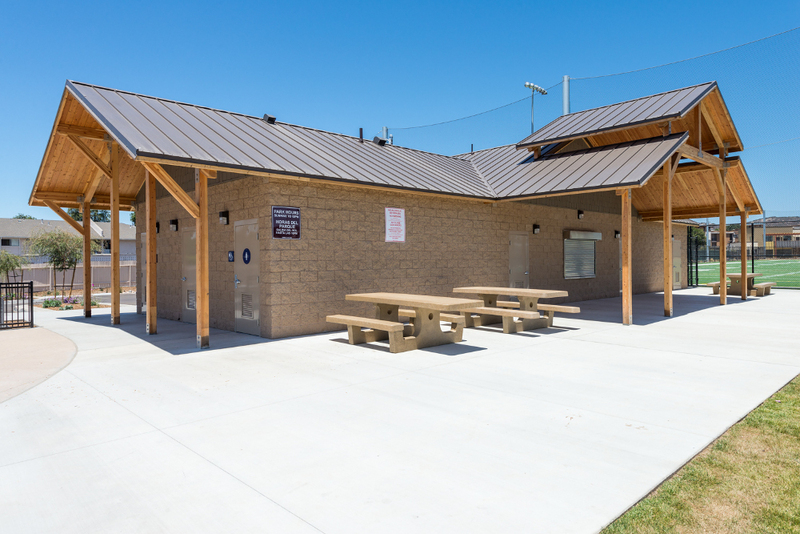 Northern California Playworks’ brand of public restrooms are the superior choice that provide minimal maintenance and a great solution for any outdoor recreation location. We have been developing our commercial brand for over 15 years so that you can enjoy the sunrise, grill outside with your family, and have bathroom break reassurance, while the kids are playing. Over the past decade, I have worked with Terri Barber and her staff for all of our playground structure needs. Not only has she provided excellent upfront service with product + installation, her attention to parts/labor/warranty issues well after installation has been incredible. Working with Terri and Playworks over the years has been a pleasure, she has always addressed our needs quickly and continues to be very reliable. 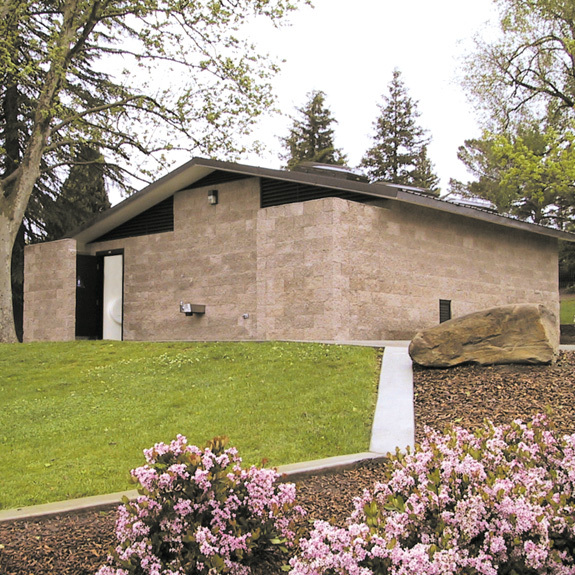 To learn more about our public restroom provider services, please call 408.557.0462. You may also fill out or “Inquiry Form”. One of our representatives from Northern California Playworks, Inc. will get back with you shortly. Click Here!